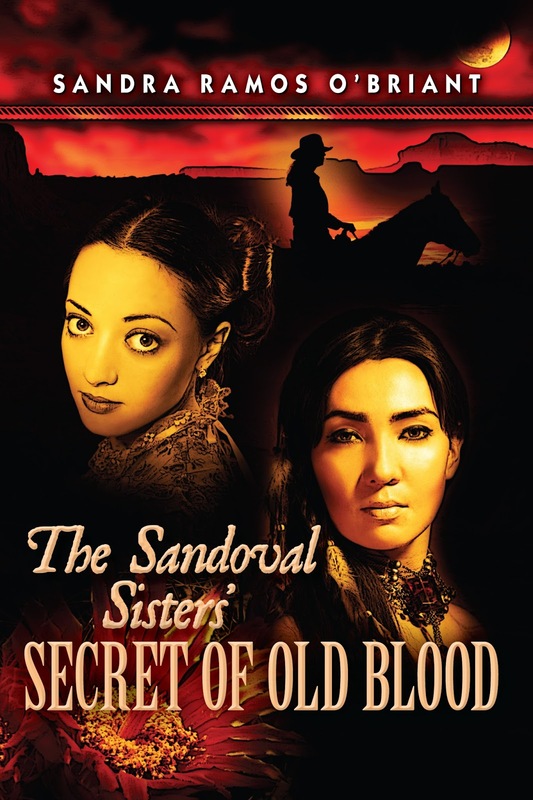 On May 30, 2013, The Sandoval Sisters' Secret of Old Blood received two awards from the ILBA in NYC: Best Historical Fiction and Best First Book. Fifteen years ago I wrote the following line in an Introduction to Fiction class at UCLA: “Human dreams had been written in archaic Spanish, and terrible sins described in faded brown ink on whisper-thin paper.” The journey to completed novel was chock-full of twists and new beginnings. My maternal ancestors were Sandovals. In my grandparent’s home in Santa Fe hung a giant portrait of a tall aging man with flaming red hair. My blue-eyed great great grandfather stared down at me throughout my childhood. The story goes that the Sandoval sisters, both spinsters and reputedly witches, adopted two Anglo boys who’d been orphaned when their family was crossing into New Mexico on the Santa Fe Trail. The boys were Anglo, but they became Sandovals. How would la gente, the people, react to an Anglo Sandoval? 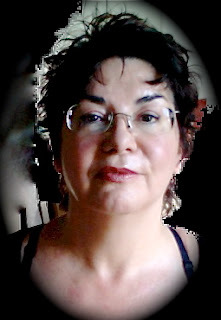 Surnames have played a role in my life: I was bullied in school for being a gringa,even though my mother is Hispanic. It’s the O’Briant surname (Ramos is a pen name.) Initially, I tried to find an answer to why cultural and ethnic antagonisms existed in Santa Fe. In the process I learned more about New Mexico and America than I'd ever been taught in college. But my goal was not to indict anyone, just to understand. My book originally told the story of those descendants with flashbacks to their ‘aunts’, the Sandoval Sisters. My agent said I had the makings of a family saga. 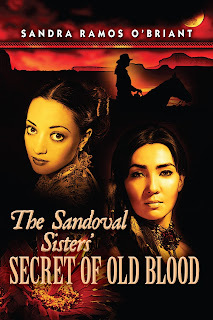 I refocused all the flashbacks and brought the past into the present to tell the story of the sisters who were already a blended family: the eldest sister, Oratoria, was a peasant from Mexico, captured by Apaches and bought for a sack of flour by the Sandovals. She’s the only one who has read all the Sandoval diaries and is compiling a history of her adopted family while parenting her younger sisters, Alma and Pilar. Witchcraft and superstition floated in the crisp mountain air we breathed in Santa Fe. My mother didn’t hesitate to tell me scary demon stories at my bedtime as if they were sweet fairy tales. The parish priest asked my aunt to stop conducting seances and rumor had it that my grandmother became paralyzed because a friend who brought daily tasty treats to her was a witch who desired my grandpa. Where I grew up, religion and superstition walked hand-in-hand. The novel reflects Santa Fe's unique position in history: it was the first foreign capital conquered by the U.S. The war is the backdrop for the sisters' individual love and coming-of-age stories in which they cope with racism, sexism, political intrigue and the power of superstition in that time and place. Thousands of Anglo soldiers entered the town, but not a word has been written from a female perspective. Until now. When Alma flees with her young lover to Texas to escape an arranged marriage with a much older man, she sets in motion a drama that will put the sisters and their legacy at risk. Pilar, a 14-year-old tomboy, is offered as a replacement bride, and what follows is a sensuous courtship and marriage clouded by the curses of her husband’s former lover, Consuelo. She will stop at nothing, even the use of black magic, in her effort to destroy the Sandoval family. The Mexican-American war begins and the Americans invade Santa Fe. The sisters are caught in the crosshairs of war from two important fronts--New Mexico and Texas. Their money and ancient knowledge offer some protection, but their lives are changed forever.